What a gorgeous day! Church was lovely; I celebrated Easter with my family including my dad and inlaws. I cooked a big, delicious dinner that shocked some, but not all in attendance. Nia and I then traversed back to Bowling Green. 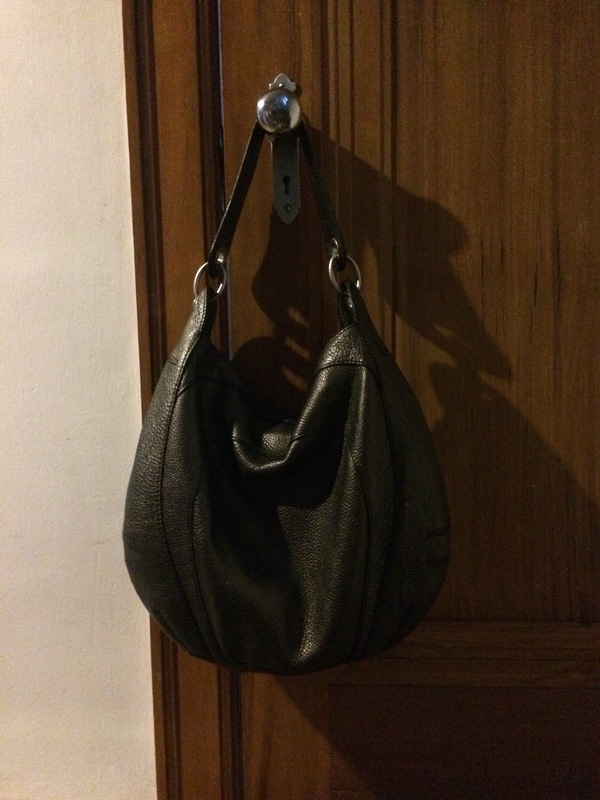 I carried this black Tinganello that i got recently at Goodwill for $14. ENJOYED it. i didn’t go all in with the credit card section in back, though. It’s the last day with my inlaws, but I have to hit my favorite thrift stores at least for a few minutes. This discipline, particularly giving away bags, makes me simultaneously wanting to buy bags for people and leaving great bags behind. 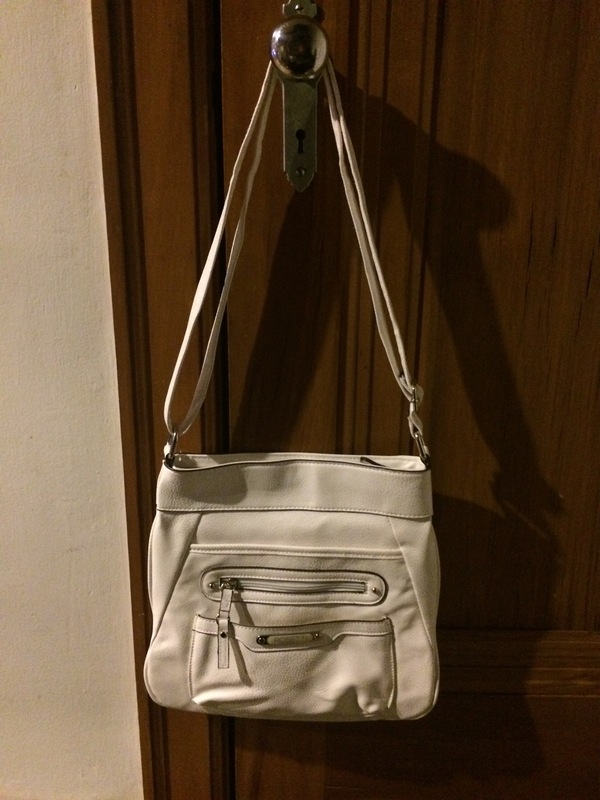 I carried this Banana Republic cream pebbled leather bag. 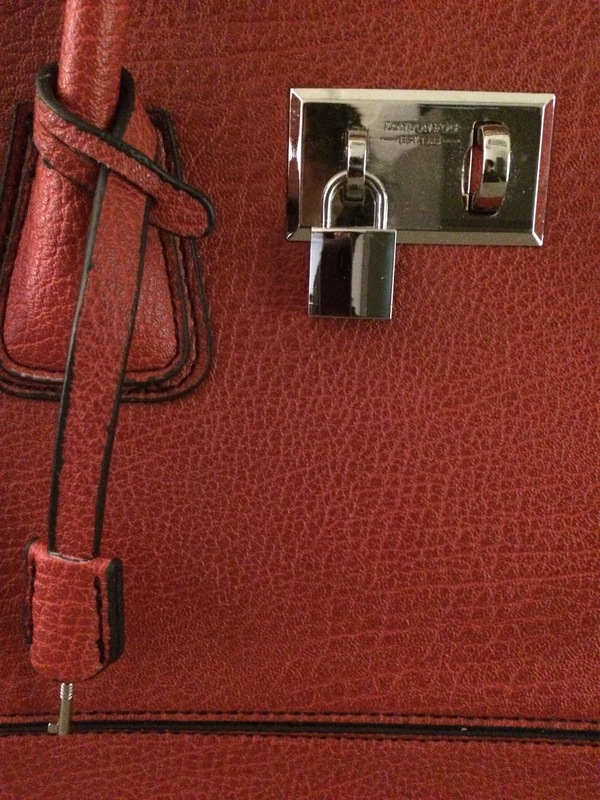 it’s that Coach-thick leather. Niiiiiiiiiiice. Got it at Goodwill last year for $8. Today calls for this red London Fog. It’s rainy and cold, so in this type of weather i go with red or yellow bags. People love to complain about the weather. it’s our common denominator, i get it. But you know, it is what it is. I’m just thankful to be here. 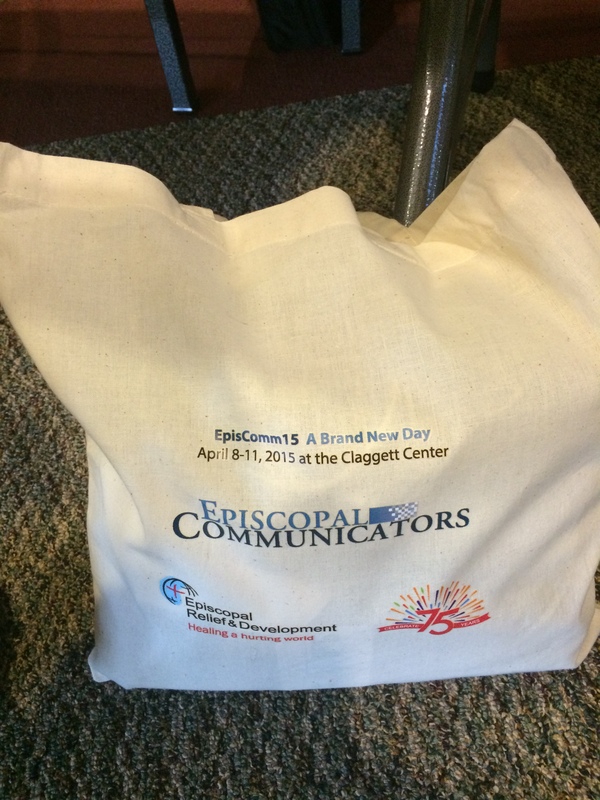 I love the Episcopal Communicators conference tote bags this year. The logos all look great, and it’s very light and portable. You know i always have a bag with e when i shop; i’m loathe to take a plastic bag. 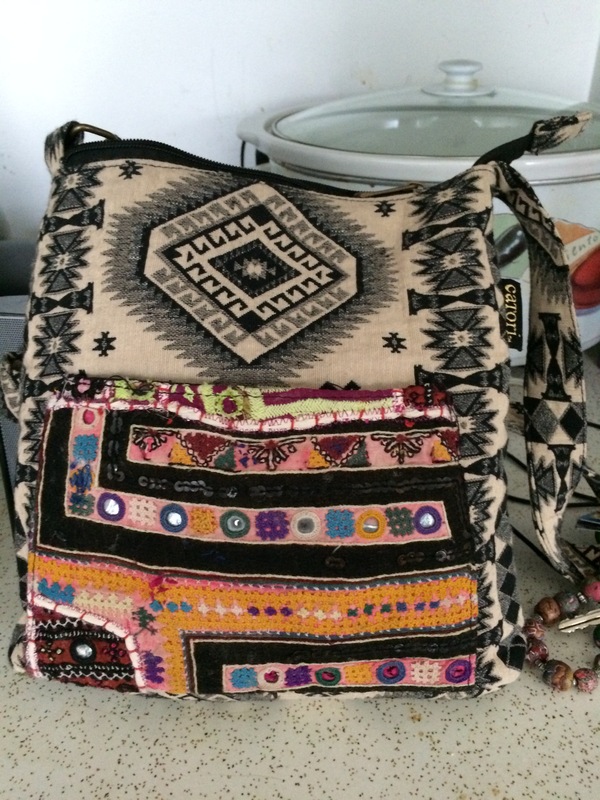 This one will join my arsenal of packable bags that are small enough to fit in a medium-sized purse. I’m learning a lot and having fun! 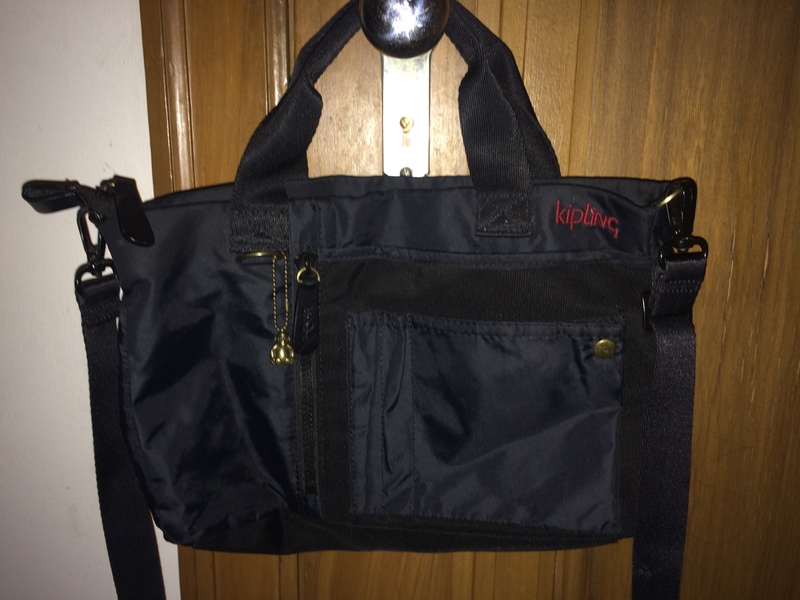 I found this Kipling in the back of my gone to college daughter’s closet. 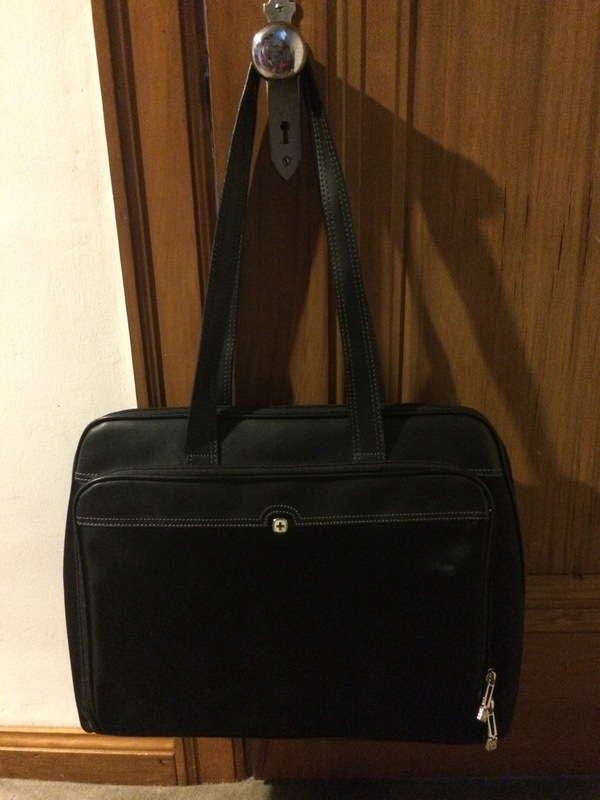 It’s lightweight, so I took it with me to the conference. LOVED IT. I admit i got a little attached. 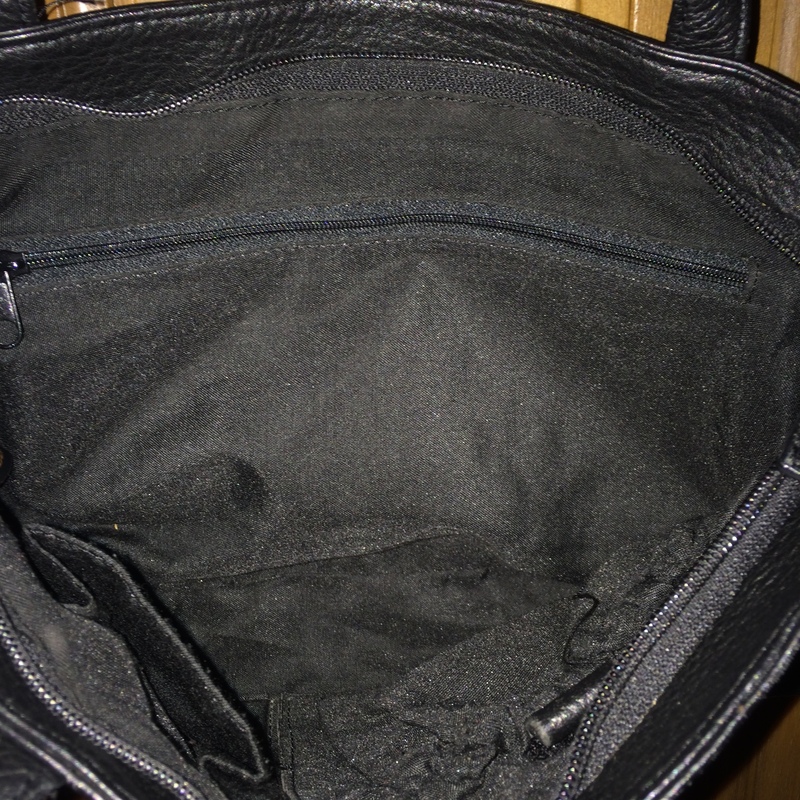 That bag was in the Communicators tote on Wednesday and Thursday, but i busted it out solo for dinner. Those crab cakes!!! 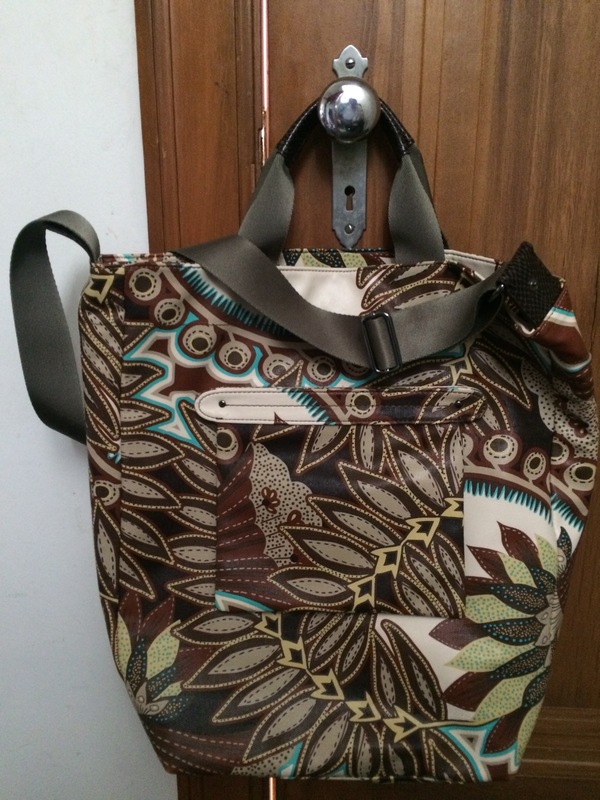 This reversible tan and off white bag is just crazy enough for me to leave in David’s car for weeks, then take to a potluck party with my tribe. Big enough to hold… LOTS of stuff. MYOB. 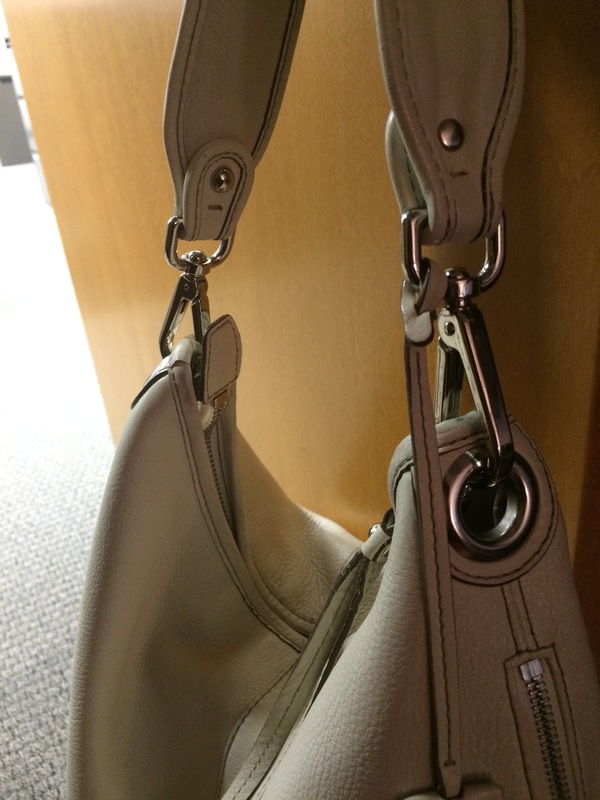 I’ve had this satchel since the last time the doctor’s bag was in. 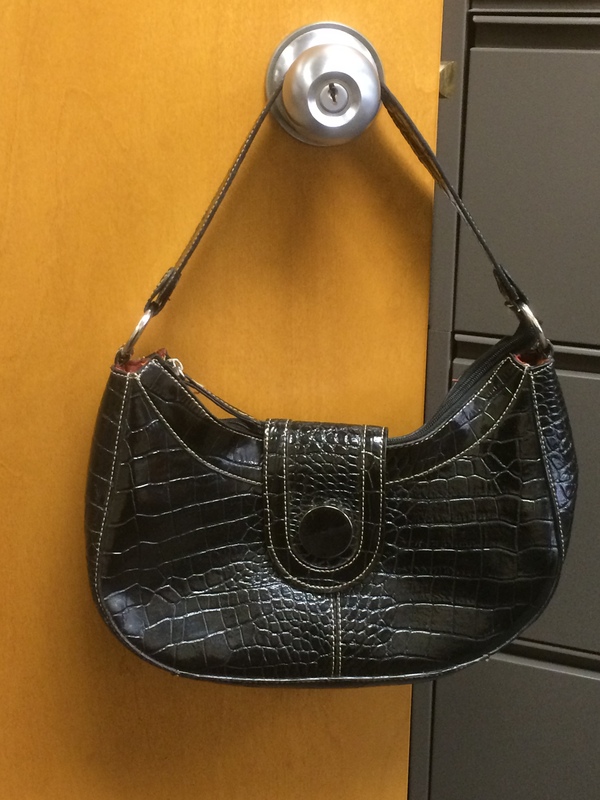 Mock croc makes everything nice. This one goes to show you – everything old is new again. One of my favorites. A beautiful Banana Republic gone too soon. Read more here. PS – with love – none of these are up for grabs. Thanks. This entry was posted in Uncategorized on April 15, 2015 by miriamgmck. 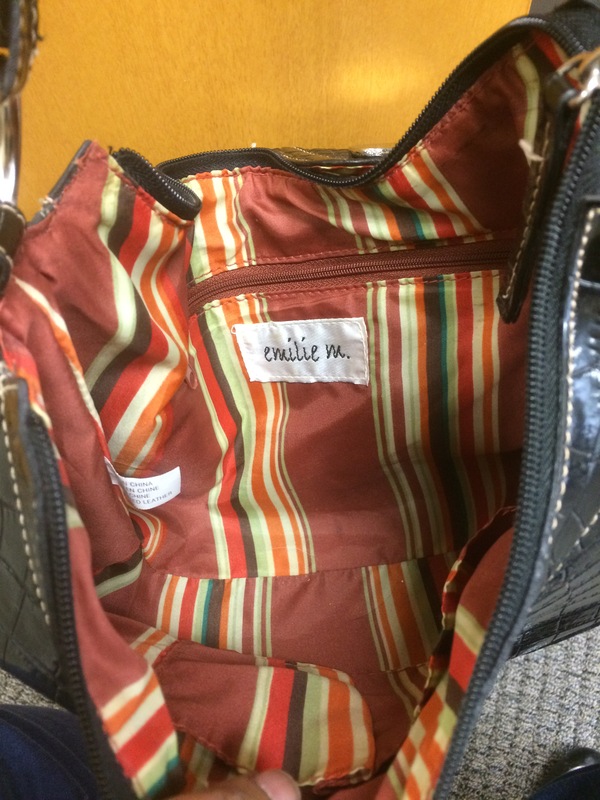 bag #46 – the end of the giveaway… or is it? Well… here we are. Holy Saturday, the day before Easter. 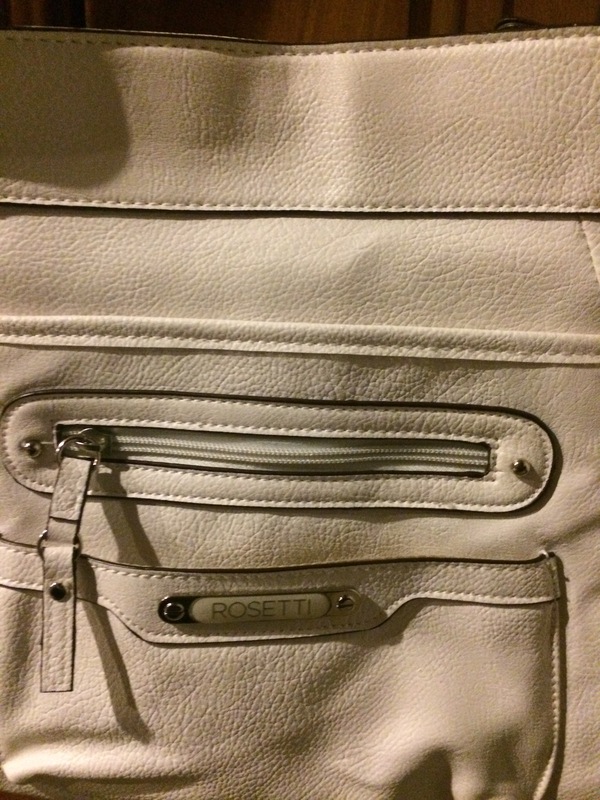 In celebration of Easter, today’s bag is a white faux leather Rosetti crossbody/shoulder bag. it’s about the size of an iPad. 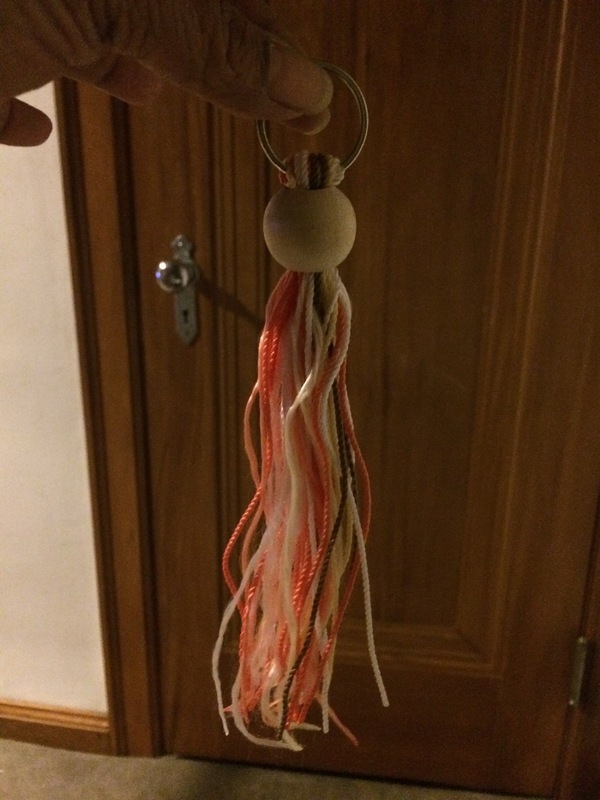 Brand new from the St. Vincent de Paul, it has no blemishes and even has this weird tassel/keychain. 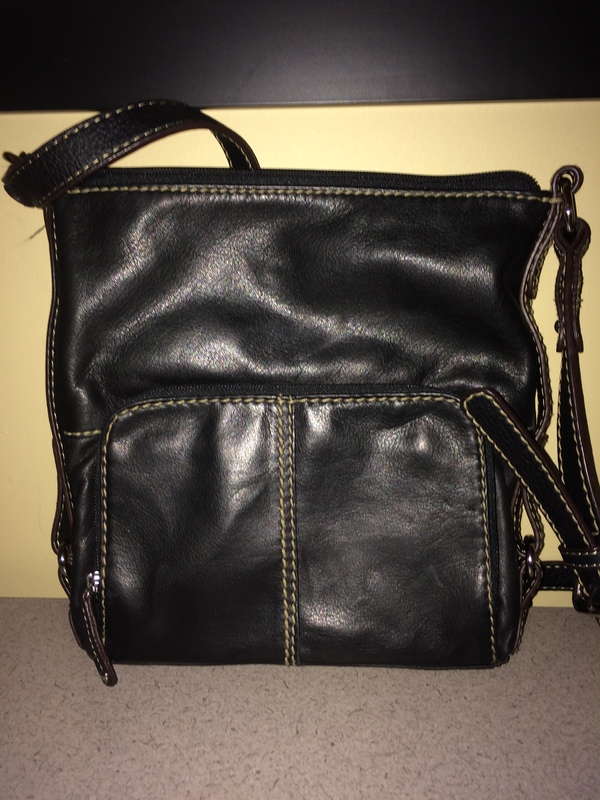 As promised, here are a few bonus bags that i have left over. Email 50favbags@gmail.com if you’re interested in any of these. 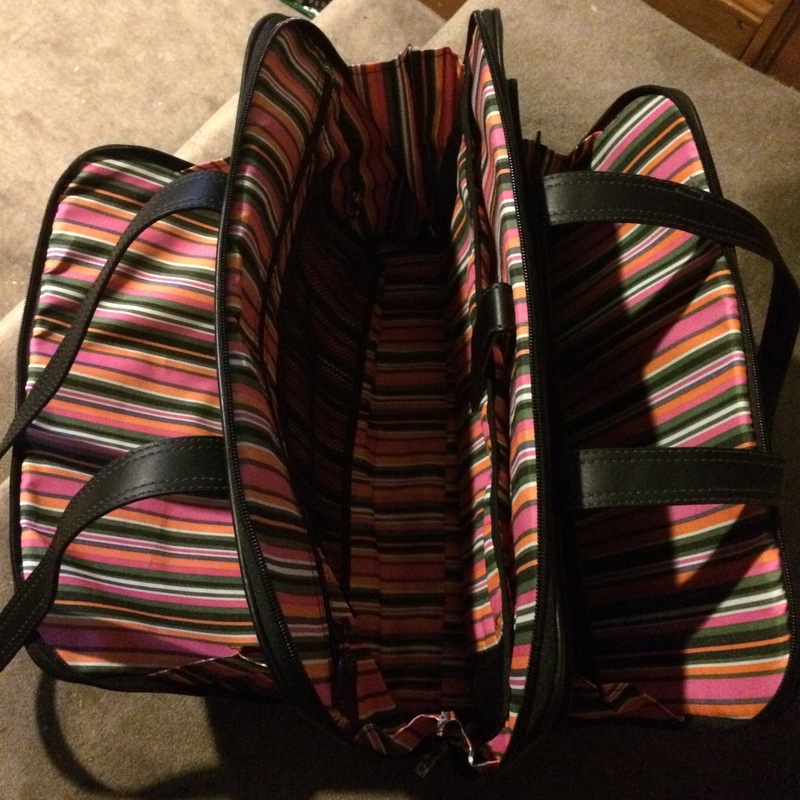 I had a lot of fun giving away bags – so much so that i think i will continue at my leisure. 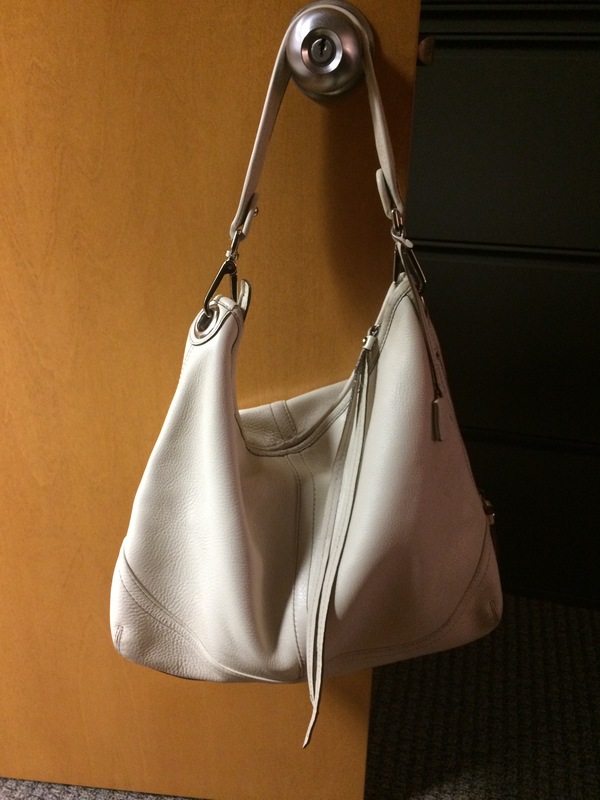 day #1 – day #50 – NOT UP FOR GRABS. If a blog post is titled “day”, it’s not a giveaway. 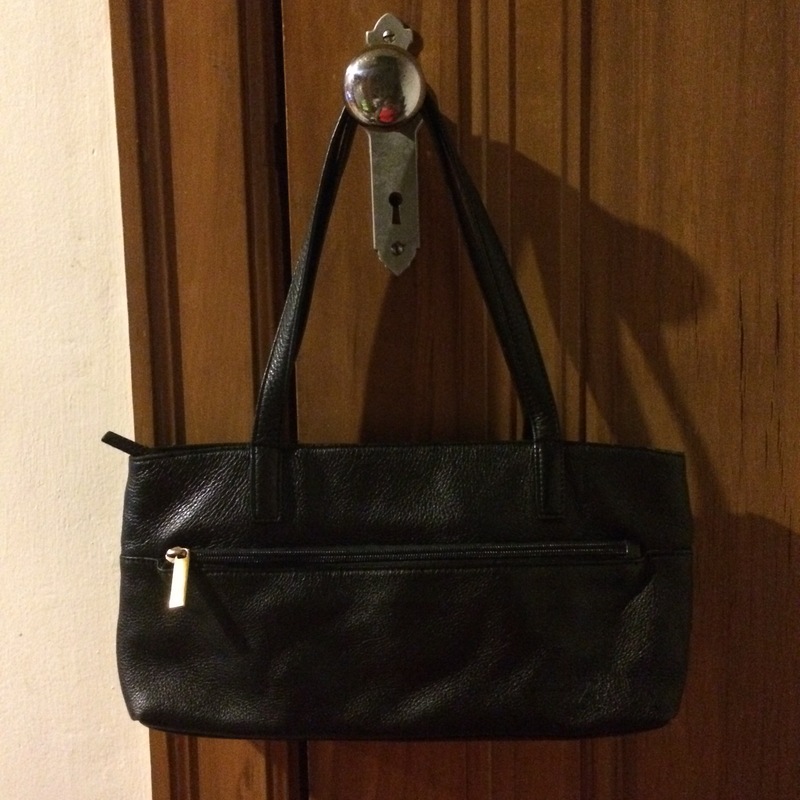 bonus bag – UP FOR GRABS. 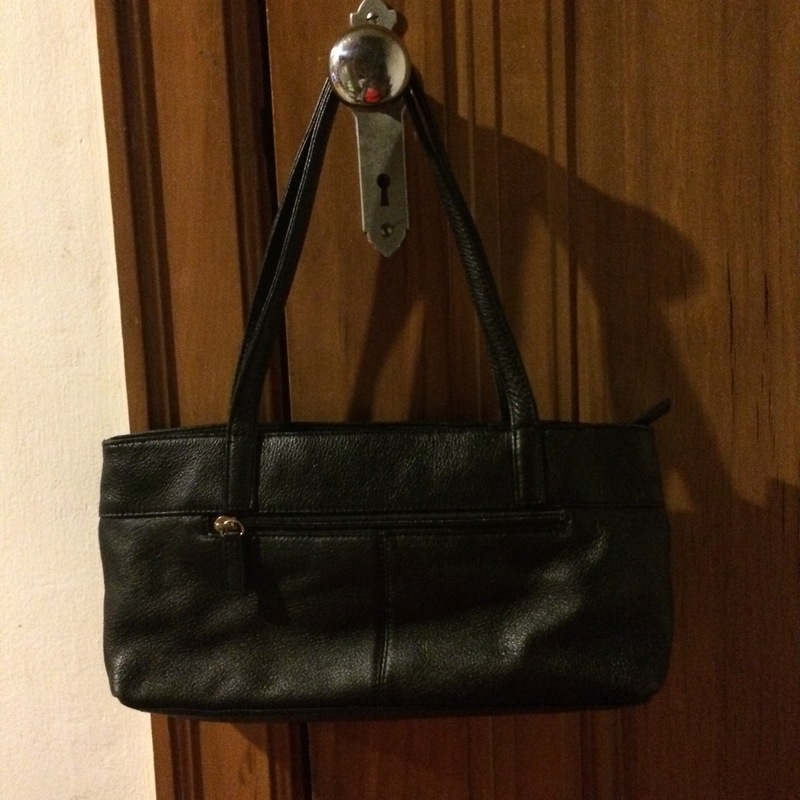 If a post includes the words “with bonus bag” there’s something up for grabs. Everything will be clearly labeled. Even though i try very hard to be clear, there are folks who get confused. Just don’t take offense when i tell you no, you can’t have this one. 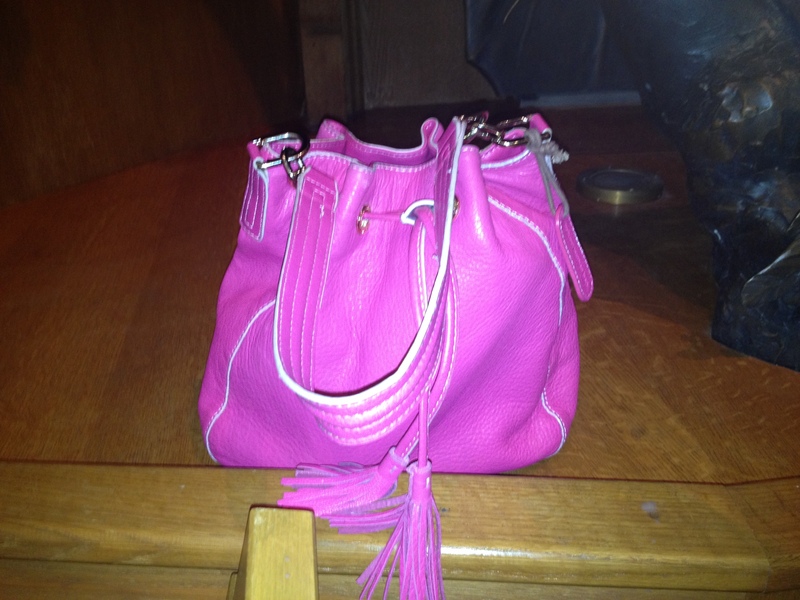 Starting tomorrow, I’ll be celebrating 50 days of Easter with 50 day of fabulous bags. I did this two years ago. 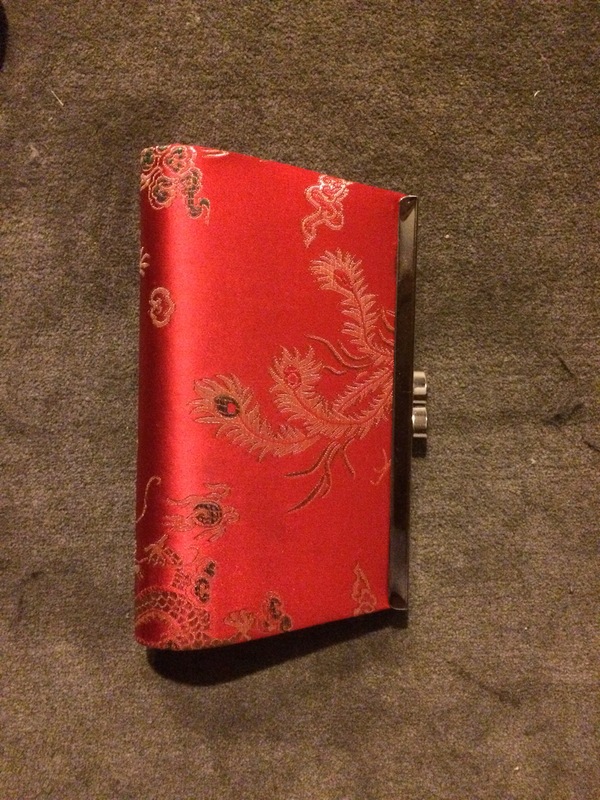 I’ll use a different purse every day for 50 days, even when i travel. I get lots of “feedback” from people who like to give their opinion about how many bags i have. WHATEVER!!!!! It’s my business! So i’ma let the haters hate while i celebrate my good fortune at thrift and discount stores. Peace! Thanks for hanging out with me this Lent. 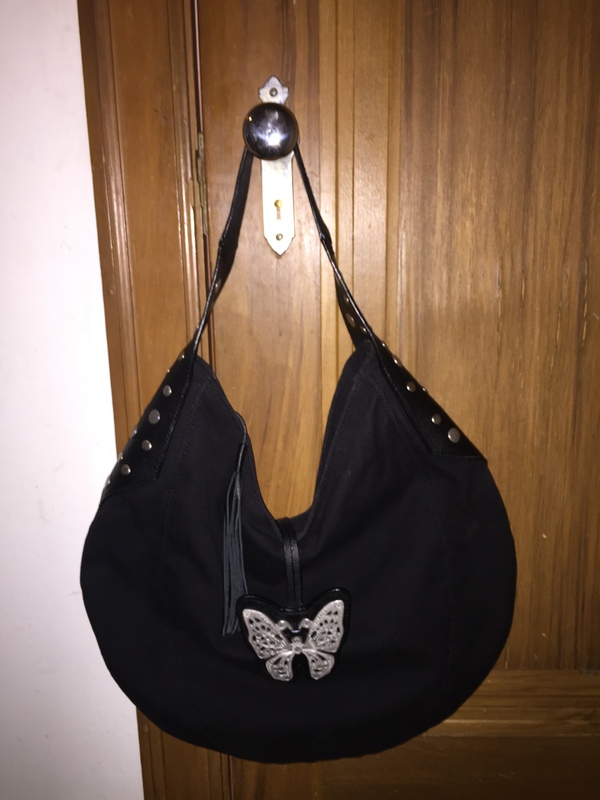 This entry was posted in 2015 Lent bag giveaway and tagged crossbody, Easter, giveaway, Handbags and Purses, Lent, Rosetti, white on April 4, 2015 by miriamgmck. No, I didn’t forget – life comes at you fast. I went up to Bowling Green to pick up Nia for Easter weekend, and made her show me where the Goodwill was. 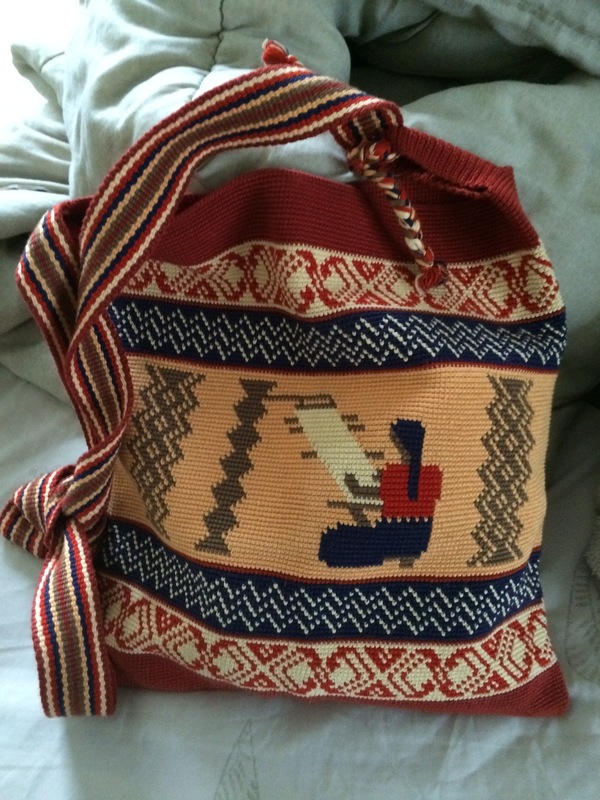 I picked up this Stone Mountain purse for $3. 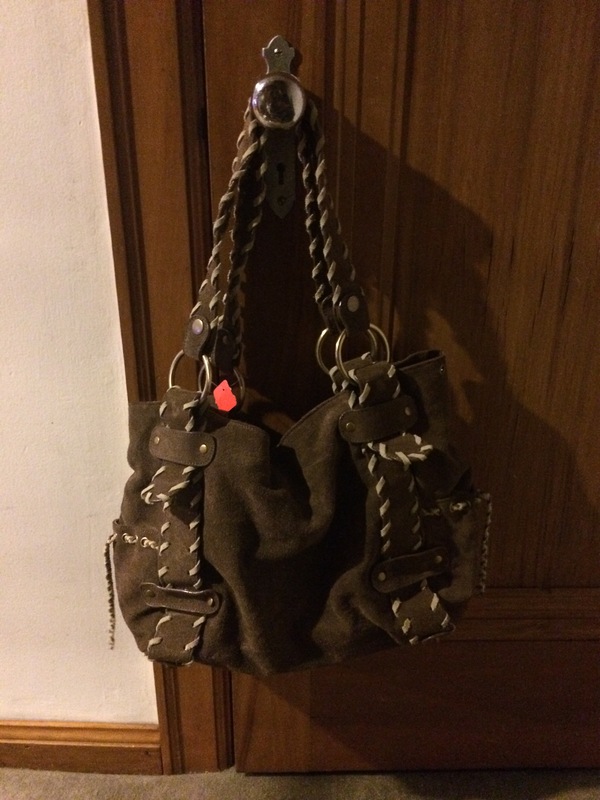 It’s in great shape, so email me at 50favbags@gmail.com if you like it. 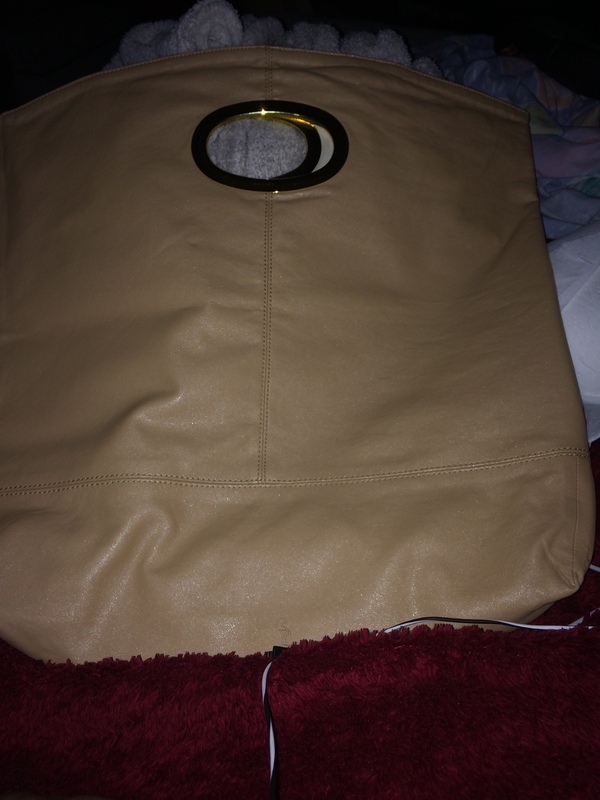 Tomorrow, I’ll post some of my bags that for some reason or another aren’t 100% to me, but may be cool to you. Regardless, they’re leaving me one way or another. I found a Dress for Success location downtown near where I work, so i think i’ll take them there on Monday. Peace. 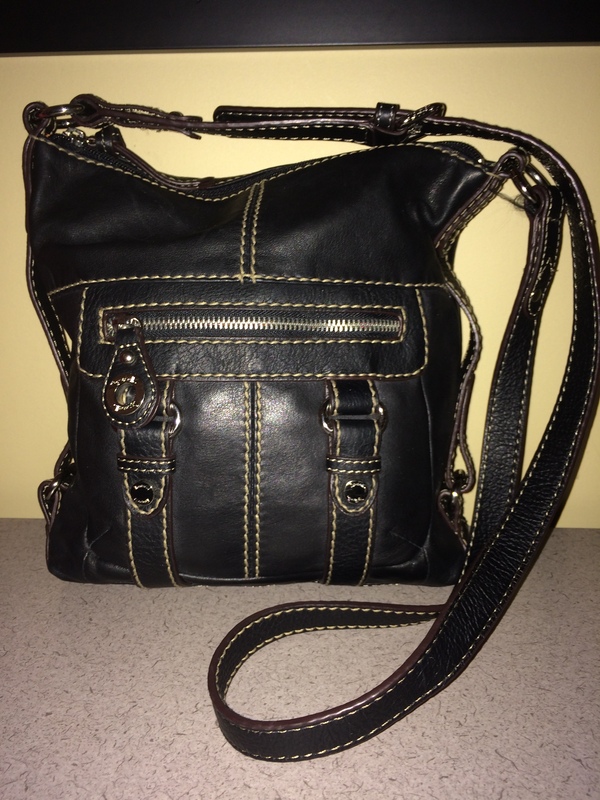 This entry was posted in 2015 Lent bag giveaway, thrifting and tagged black, Dress for Success, giveaway, pebbled leather, Stone Mountain on April 3, 2015 by miriamgmck. You’ve heard of those Target collaborations with designers, right? 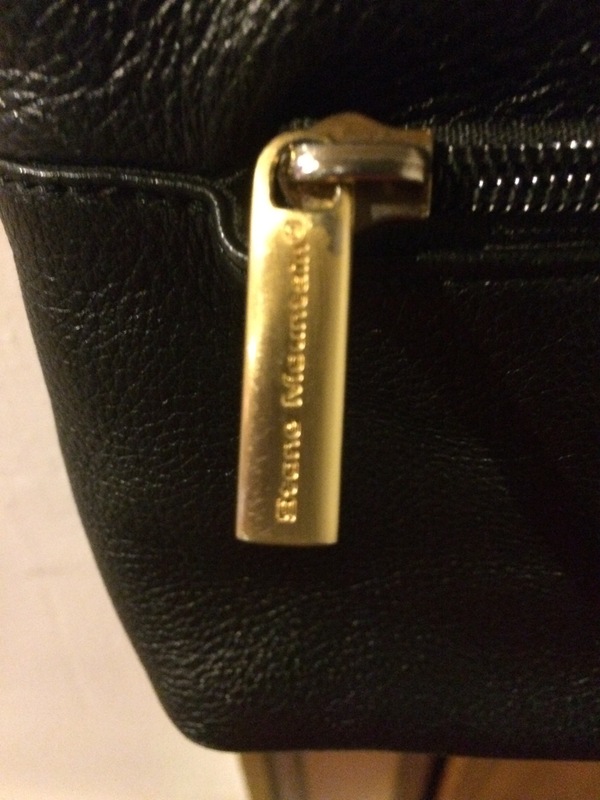 Early days it was Isaac Mizrahi, Proenza Schouler and Liz Lange. 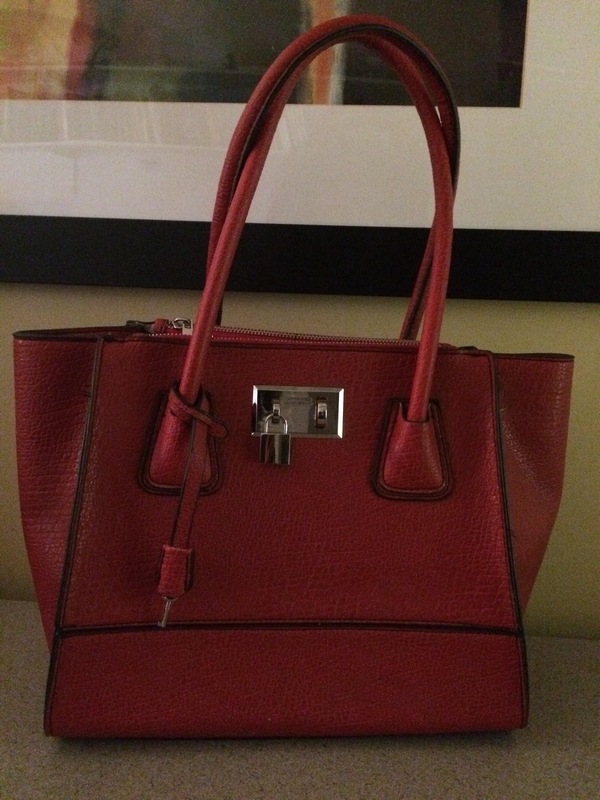 Since they often don’t make plus sizes, i console myself with the bags, which are often fabulous. 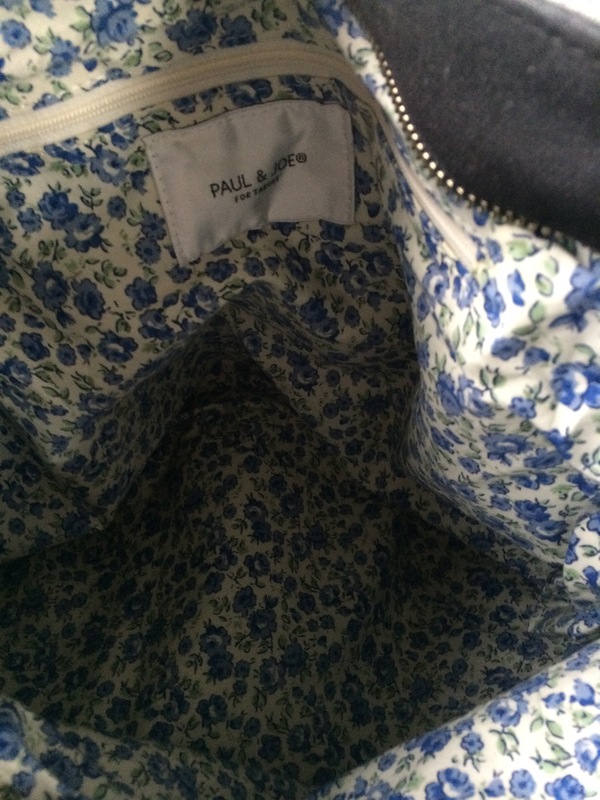 This one is from Paul and Joe. Ok i hadn’t heard of them either. 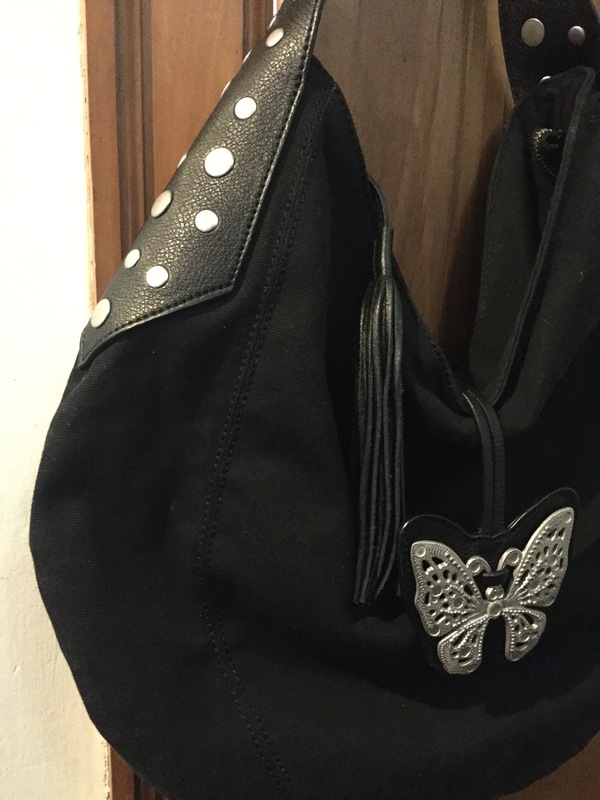 I got this bag at Goodwill for my butterfly-loving oldest, but she is anti-purse and rejected it. The butterfly piece comes over the top and acts as a closure. 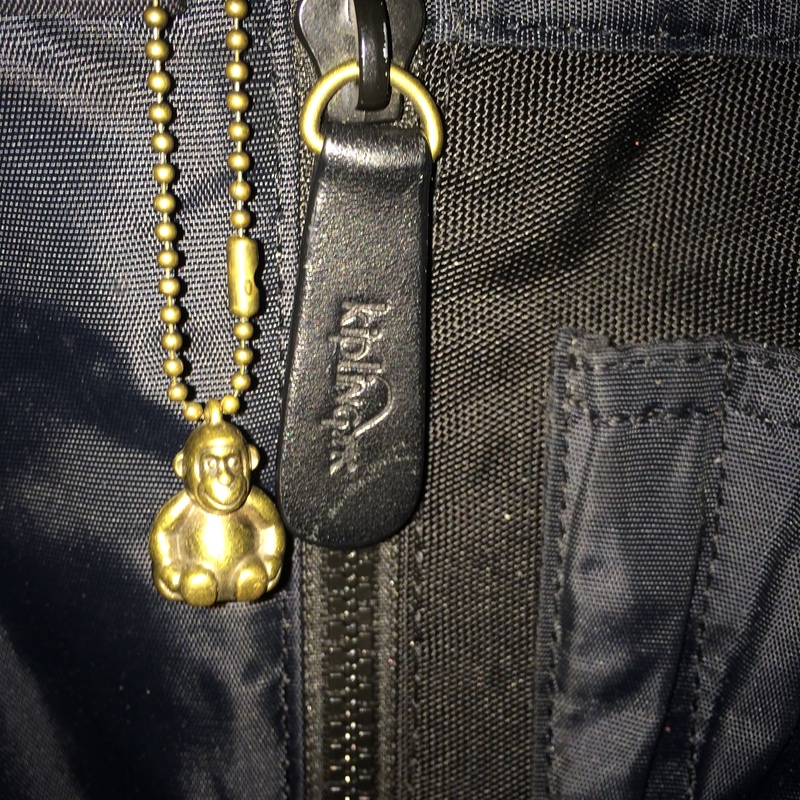 There’s also a cool tassel zipper pull. 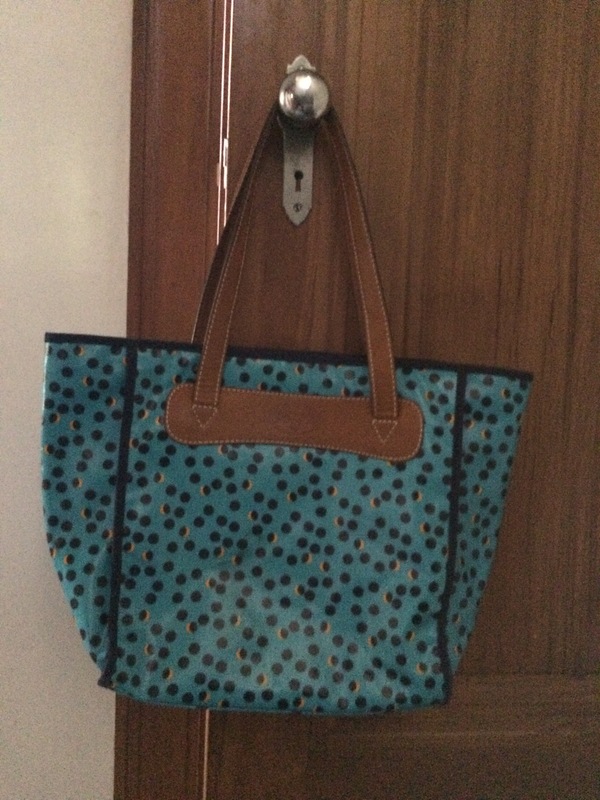 Canvas with faux leather. 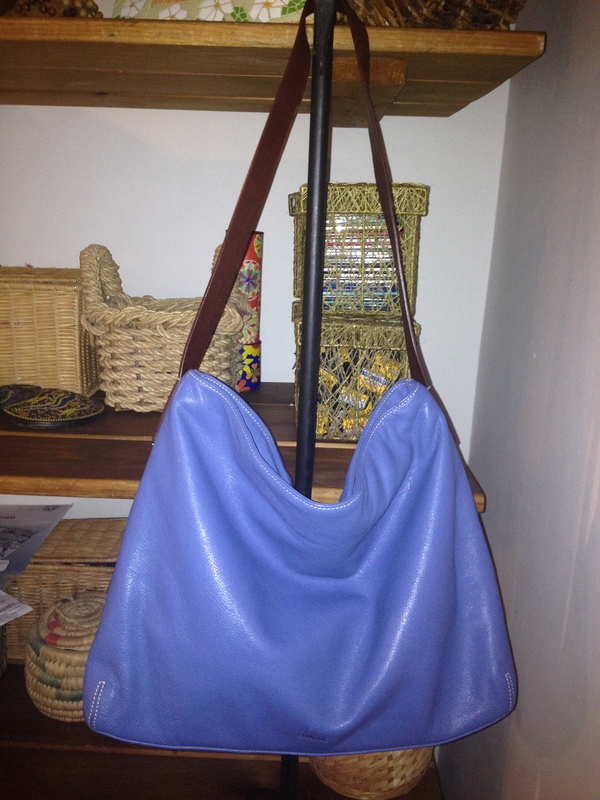 I thought about keeping it just because but… email me at 50favbags@gmail.com if you like it. 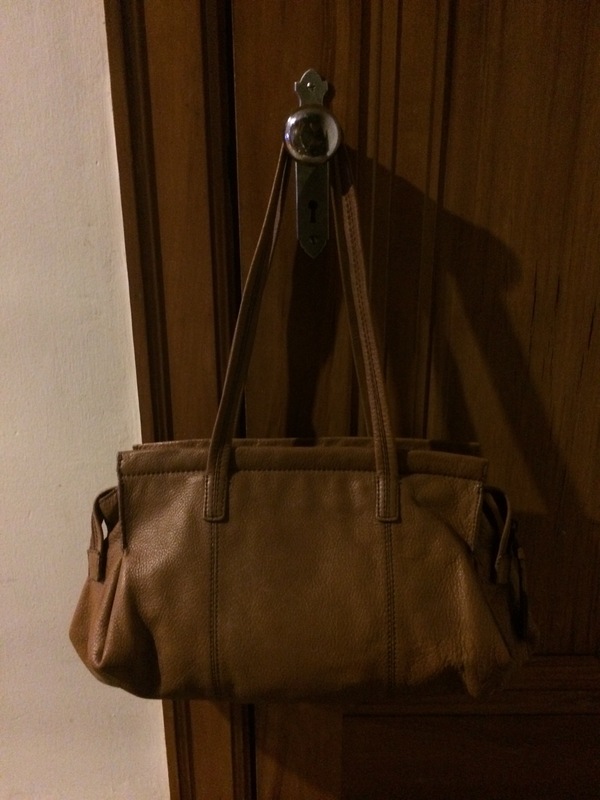 Two days to go… the five bags (other than this one) that are still available say “still available” in the title. Last chance before they go to the thrift store! Taken. Thanks! 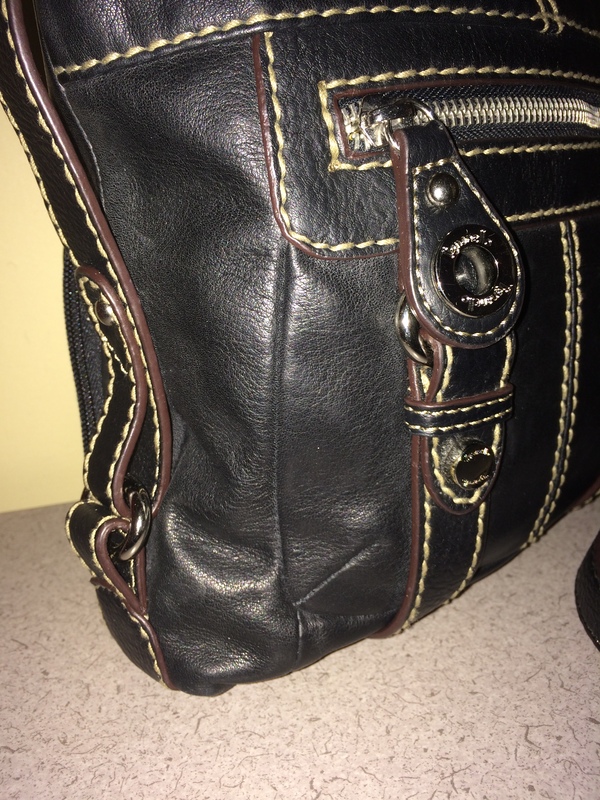 This entry was posted in 2015 Lent bag giveaway and tagged black, daughter, giveaway, goodwill, Handbags and Purses, hobo, Paul and Joe, target on April 2, 2015 by miriamgmck. You know what to do by now, right? Email 50favbags if you’re feeling it. 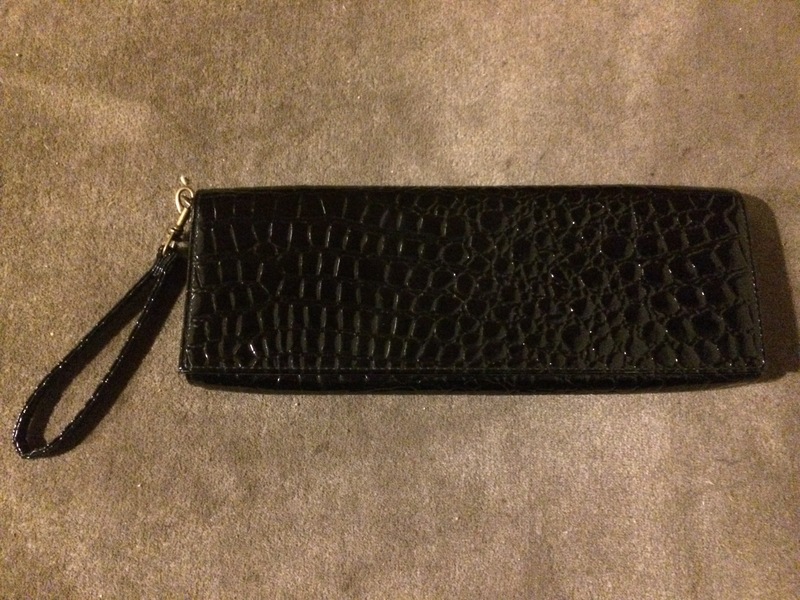 This entry was posted in 2015 Lent bag giveaway and tagged black, friends, giveaway, Handbags and Purses, mock-croc bag, purse swap on April 1, 2015 by miriamgmck.